Leonard Nimoy's recent passing has touched fans everywhere. Greg Holmes posted this on Facebook with the following remembrance. It is used here with his permission. 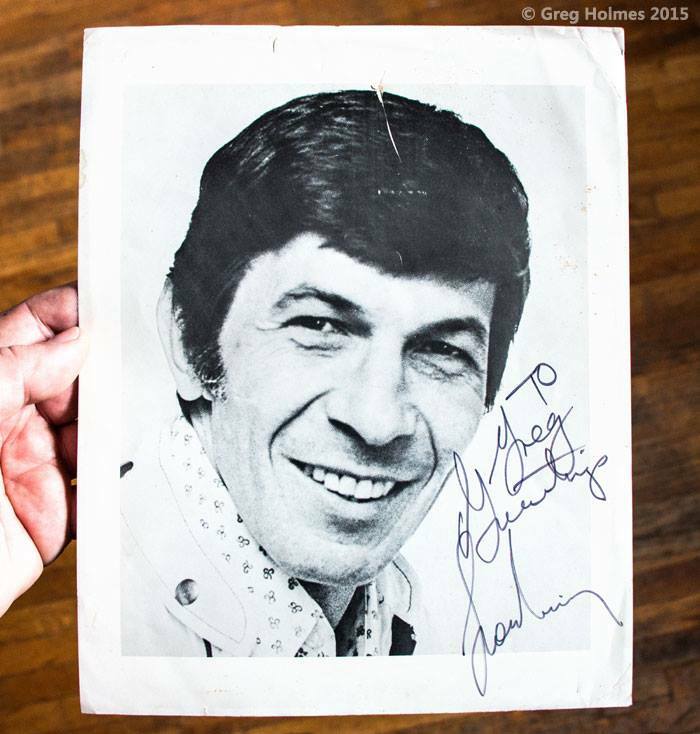 I met Leonard Nimoy a few times over the years and even got to have a brief conversation with him about photography when he was on a book tour, but my favorite memento is from an occasion at which I was not present. My uncle Lynn, aunt Ruth and cousins David and Gary got this signed still for me in the early 1970s. David, Gary and I were in that early wave of trekkies that formed when Star Trek went into syndication. It was a better world than the one in which we actually lived - and still is, I suppose. But we'll get there.